How To: Live Lining Big Baits From The Beach! This jack crevalle is a perfect size for live lining from the beach since it is srtong enough to cut through the waves with the weight of the line behind it. Growing up as a land based fishermen, the piers provided us a venue from which to swim out or "live line" big baits. 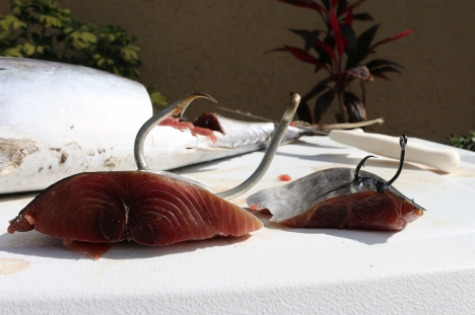 The method was not only used for sharks, but other pelagics such as kingfish, Cobia and Sailfish. Fishing off Deerfield pier, I witnessed dozens of Kingfish over the 30b mark fall for live mackerel or bullet bonito that were swam off the front of the pier. These big baits are often overlooked, but land based fishermen are forced to think outside the box and find ways to get their baits out into deeper water. As I transitioned to shark fishing from the beach, there were days I simply did not feel like paddling for blacktip's. I started to employ the same live lining practices of my pier days to the surf and was greeted with much success. When the blacktip's and sandbars are moving down Florida's coast during their annual migration this method works especially well. A lot of times the surf casting gear simply cannot get out far enough to where the sharks are staged. However the live lining method can often out fish the surf casting gear as you are not only presenting the freshest bait possible, but one that can swim out twice as far as you could ever cast. The Video posted below demonstrates how effective the swimming out method works, in which we caught a lemon sharks and hooked several blacktip's on live jack crevalle! This method also works especially well during the mullet run. 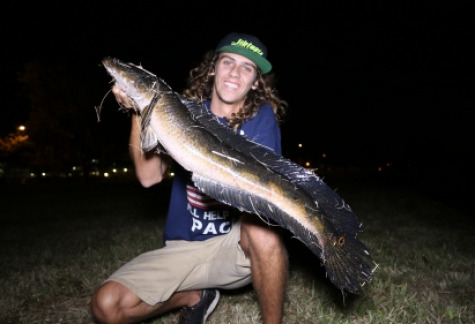 You would think to fish a mullet during the mullet run, but you would be surprised at how hard it is to get a bite on a needle in a haystack. 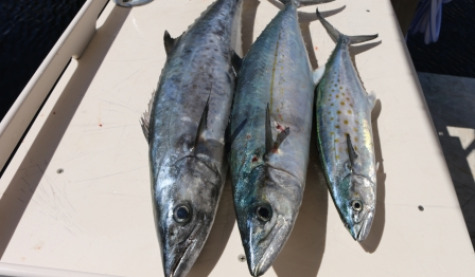 The big predatory fish such as Big Jacks, Tarpon,snook and sharks are not only feeding on mullet but bluefish, baby jacks and mackerel in the schools. Below I have attached a video in which I swam out a live bluefish and caught a stud Jack Crevalle on it. The Haywire Twist, Are You Doing It Right? This article covers a few common errors that anglers make when tieing a haywire twist.